Up N Go Cushion review. Find out if the Up N Go cushion really work. What is Up N Go? 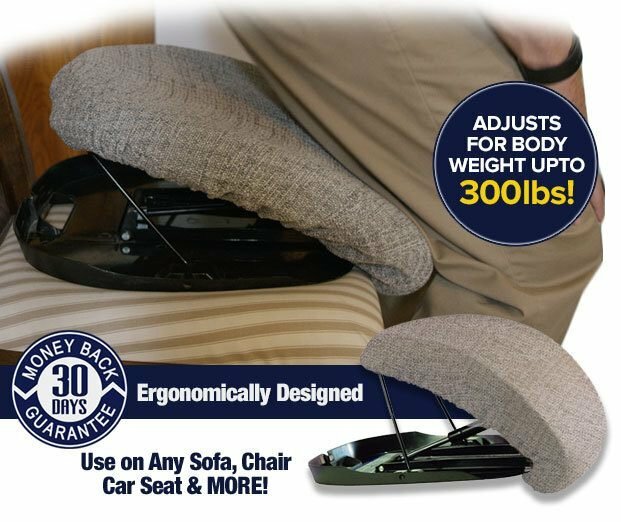 Up N Go Cushion claims to support user’s weight of up to 300 lbs. Up N Go cushion is the cheapest lift assist seat. But the quality of the product is questionable. Up N’ Go Cushion claims to be all new(?) 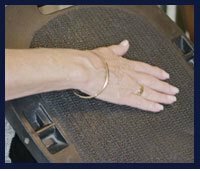 lifting seat cushion that provides assistance and comfort to people who have difficulty in transitioning to standing or seating position. Up N Go cushion does not use battery or electricity, instead it is powered by hydraulic rod and spring that slowly release as the user begins to sit or stand. Up N Go cushion provides safe and gentle lift without the user having to push him forward. Up N Go not only provides comfort but also assist you in sitting down and getting up. Mechanism – Slow action hydraulic rod and spring. Though the manufacturer of Up N Go claim it to be an alternative to electric powered lift chairs. Reviews doesn’t seem to support this claim. The Base – The non-slip base of the Up N Go cushion claims to grip sofas, couches, seats and chairs for increased stability. The base of the Up N Go cushions claims to be “non-slip” to maintain the grip. But reviews reveal that the Up N Go cushion is very unstable on soft-surfaces of sofas and couches. Customizable Lift – The Up N Go cushion features several levels of adjustments that users can set to, based on their weight. It is crucial you set the correct lift setting. In-correct lift setting can throw the user off balance while getting up from the Up N Go cushion. Comfort and Support – The ergonomic cushion help the user maintain the muscular strength and provides maximum support and comfort. The Up N Go cushion claims to support users up-to 300 lbs of weight. Up N Go claims to take away 80% of user’s weight. Reviews have confirmed that Up N Go is comfortable and provides good support. But make sure that you sit all the way back till the tip of the cushion. Cushion Cover – The Up N Go cushion cover is water-resistant and is machine washable. The cushion cover can be removed for washing but the material of the cover is not known. Versatile – The Up N Go cushion is versatile and can be used on almost any surface, even on a car seat. Better Alternative – The Up N Go Cushion claims to be a better alternative to expensive electric powered lift chairs. 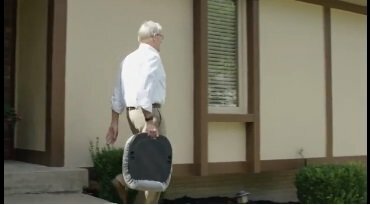 Maintains your Dignity – With the Up N Go cushion, you need not be dependent on your friends and family members to help you stand up or sit down, says the Up N Go infomercial. Portable – Up N Go Cushion is light in weight, collapses easily and has a durable handle to be carried everywhere. Up N Go cushion claims to be portable but reviews have a different story to tell, many users feel it is cumbersome to carry. Up N Go cushion is available for $49.95 at with the official website: BuyUpNGo.com. Guarantee – You can return the Up N Go to the manufacturer within 30-days of purchase. You still have to pay for the return shipping charges. Warranty – No warranty from the manufacturer. Many users have a “mixed” reviews about the Up N Go cushion. Most users find it moderately useful. Some users claim in their reviews that it does not provide the lift they had expected. There are various reasons why Up N Go cushion works in certain cases and does not work in some. Mostly it has to do with the chairs. 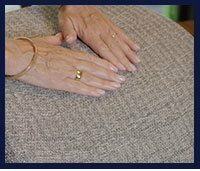 Lift Assist – Reviews have revealed that Up N Go cushion does provide lift assist on chairs with arms where the “lifting” is also assisted by your arms. The Up N Go cushion is practically useless for chairs and sofas without arm support. Sitting Assist – Users reviews has confirmed that Up N Go cushion is not very supportive when you have to actually sit on it. It comes into the picture at the very last stage of the sitting activity. You still have to use the power of your leg muscles to bend down to seat. According to the reviews, the Up N Go cushion is more useful as a lift assist than a “sitting assist”. 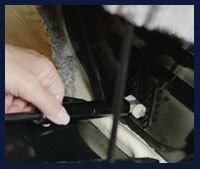 Type of Surface – It is very critical what surface you use the Up N Go cushion on. Up N Go reviews reveal that the cushion would not work very well on couches, sofas and other soft surfaces. It is more useful when used on hard surfaces. Comfort and Support – Almost all the Up N Go cushion reviews confirm that the seat is comfortable to sit on. And provides adequate support. Matt Carter mentions in his Up N Go review that the lift offered by the cushion is not enough to get off the hair. You still have to rely up on a cane, chair arms or someone’s help. Dora Hughes complains in her review that Up N Go cushion is not suited for tall people because they might still have their knees bent after the cushion has finished exerting all the pressure. Some Up N Go reviews mention the fact that for the cushion to work properly, you have to sit way back on it. So shot people have to struggle to get their bum to the tip of the cushion. Though the official Up N Go website claims that it can be carried anywhere, its kind of awkward and bulky to carry. Certainly not to be carried by the person who is actually going to sit on it. Wanda Conner warns people on using the Up N Go cushion. In her review she states that you need to be very particular about the setting. Improper setting can cause it to exert more force on the person using it, causing him to loose balance. Erin Burgess says in his Up N Go review that he has Parkinson’s and this cushion is not of great help for him. He states in his review that older people like him kind of slump in the chair at the last stage of their sitting action. So you have to be very careful you fall on the right place. If you are not at the center of the cushion you end up in a very uncomfortable and unbalanced position. Ollie Dunn mentions in his review the Up N Go cushion would not be of much help to people who have balance issue. He says while sitting on the Up N Go cushion you have take help of some support an arm, a cane or a person. It is relatively easier to get up from the Up N Go cushion than sitting on it. But for people with Parkinson’s and balance issues, even getting up from is tricky and can even make them fall down to floor. Lula Young mentions in her review that Up N Go cushion is certainly not an alternative to electric powered lift chairs. Before choosing to buy the Up N Go you have to understand its limitation, don’t get tricked into believing that it is an alternative to lift chairs. As the reviews have confirmed and as the name itself suggest – the Up N Go is a “lift assist” and nothing more. It only helps people who have “moderate” mobility and health issues. It is almost useless for people with serious health issues. Up N Go cushion is not the sole pneumatic/hydraulic “lift assist” seat out there in the market. There are several tried and tested lift assists available on the internet especially Amazon.com. We recommend buying on of them, Carex is a good alternative to Up N Go cushion and has many lift assist models. The only advantage Up N Go cushion provides is that the cushion is comparatively cheaper (priced at $50) than its counterparts like Carex. But then unlike Up N Go cushion, Carex is a proven assist seat. We would recommend Carex over Up N Go. Be the first to comment on "Up N Go Cushion REVIEW"